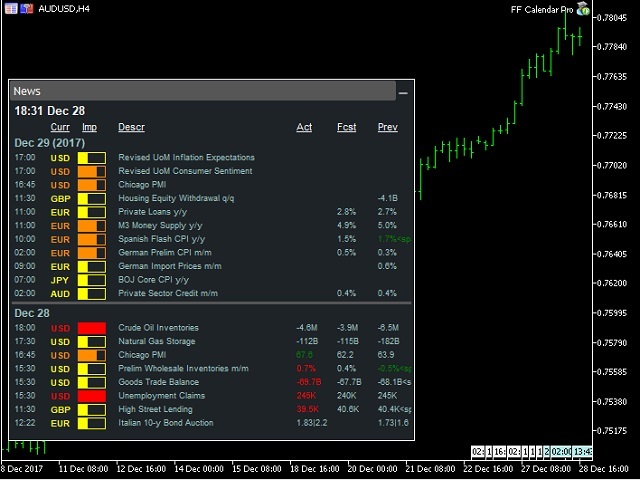 FF Calendar Pro is an advanced version of the FF Calendar free economic news calendar you can find here: https://www.mql5.com/ru/market/product/17322. 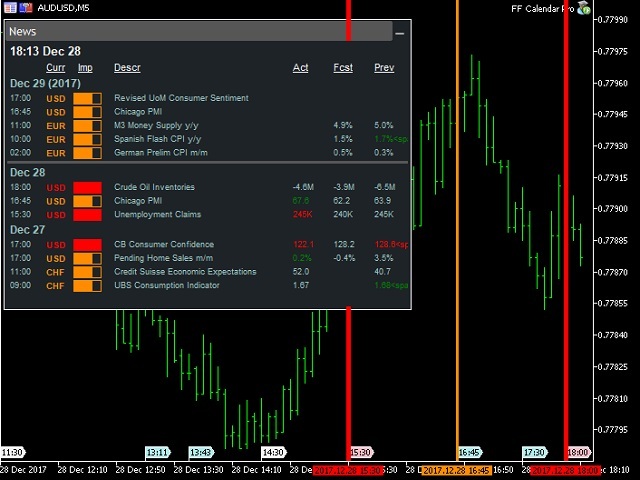 Like the free version, FFCalendar Pro receives news from the ForexFactory website and displays their importance, release time and numerical values ​​on the info panel that you can easily move along the chart and minimize by your mouse. Additionally, FFCalendar Pro shows the news release time by vertical lines. The lines' color and width depend on the importance of the news and are set in the settings. Control zones can be created before and after the news lines. The zones are gray by default. Their width is set in the settings. An alert can be triggered when the price enters the control zone. You are able to define the tracking depth. Besides, you can sort out news by symbols, importance and impact on the market. It is possible to disable the news lines leaving only panels on the chart. 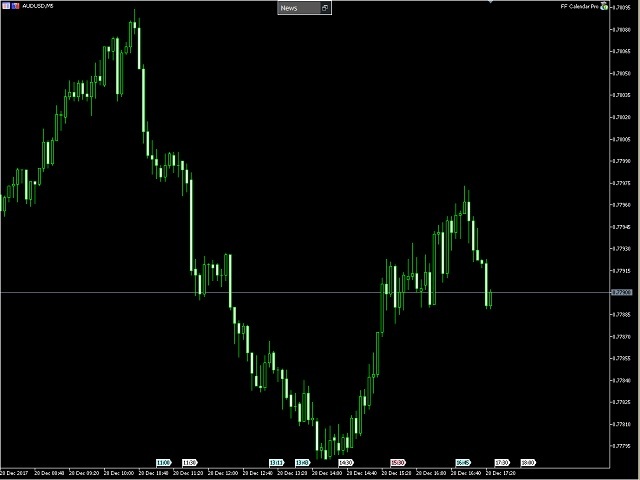 Before attaching the Calendar to the chart, add the URL https://www.forexfactory.com/ to the Options -> Expert Advisors -> 'Allow WebRequest for listed URL'. 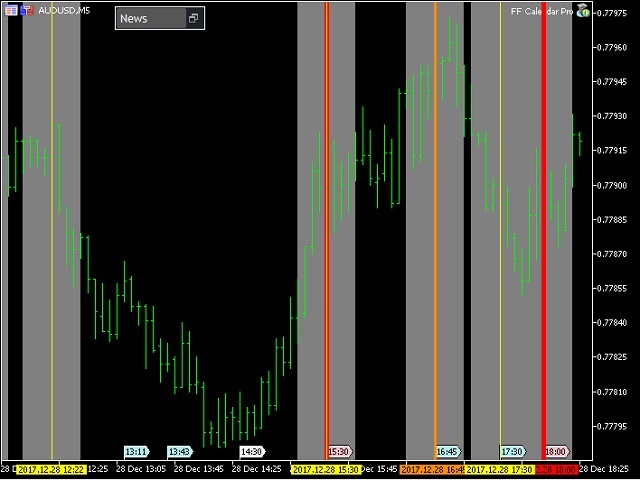 Danger News Time Period (in minutes) - width of news control zones. 1. The program has been adjusted to reflect the latest code changes on the www.forexfactory website. 2. Added system for smart processing of information received. 3. Updated Calendar database files. 1. The program has been adapted to the latest changes in the code on the site www.forexfactory. 2. Optimized the operation of the calendar database. 1. 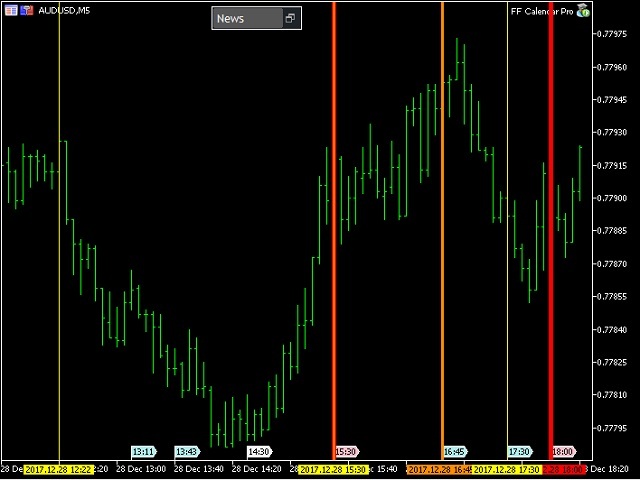 The program adapted for upcoming changes on www.forexfactory website. 2. 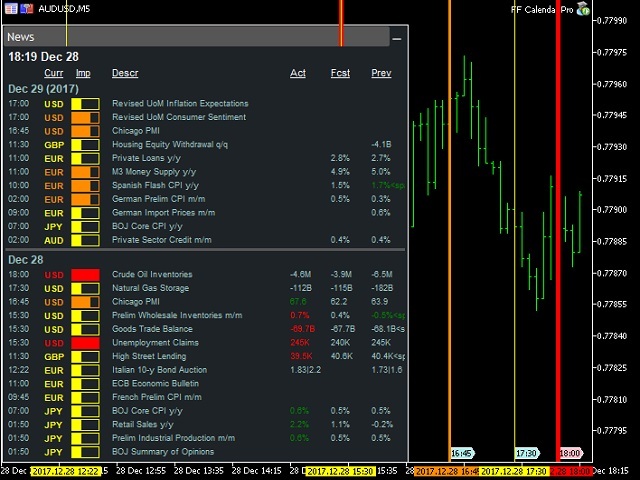 Columns displaying GMT, terminal and trader's time are added to the Calendar panel. 3. 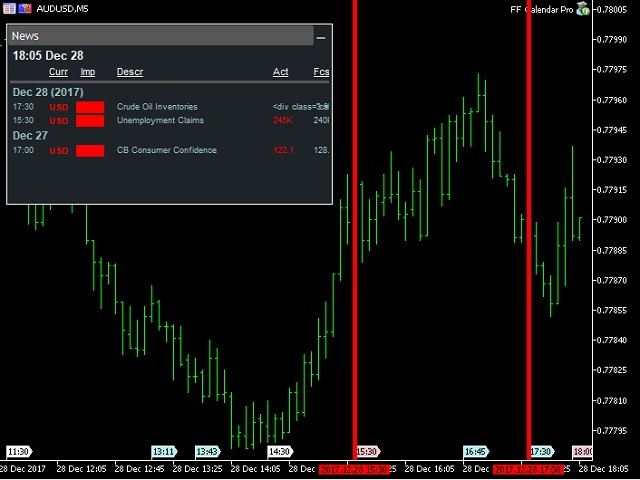 GMT, terminal and trader's time are set automatically.